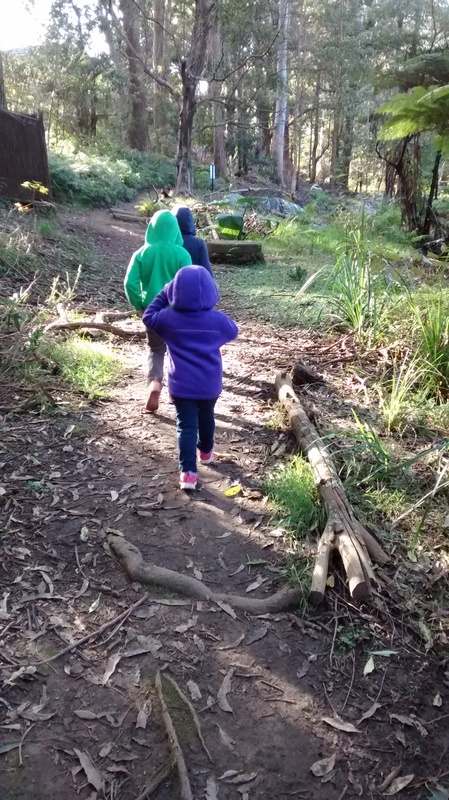 I am always trying to get my children active and thinking about the environment. They are usually pretty responsive and study various aspects of environmental protection at school and pre-school. But I like to take it one step further and get them outside with their hands digging in the dirt. Today was the perfect opportunity for this, being National Tree Day. 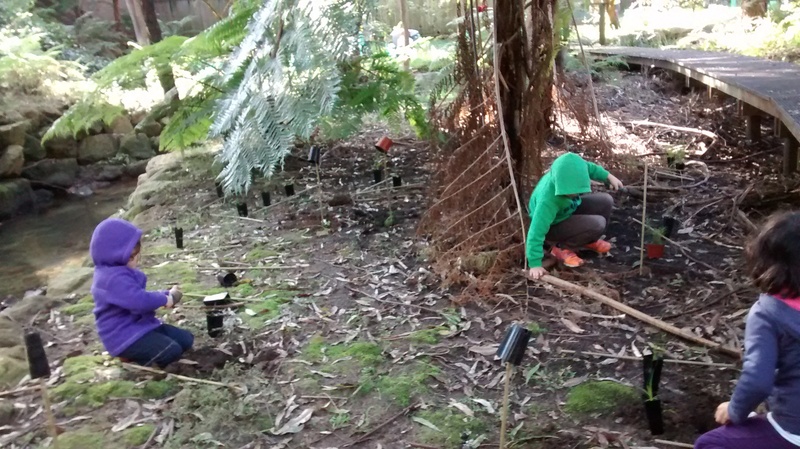 My Council, Lane Cove, organised a tree planting day very close to me. 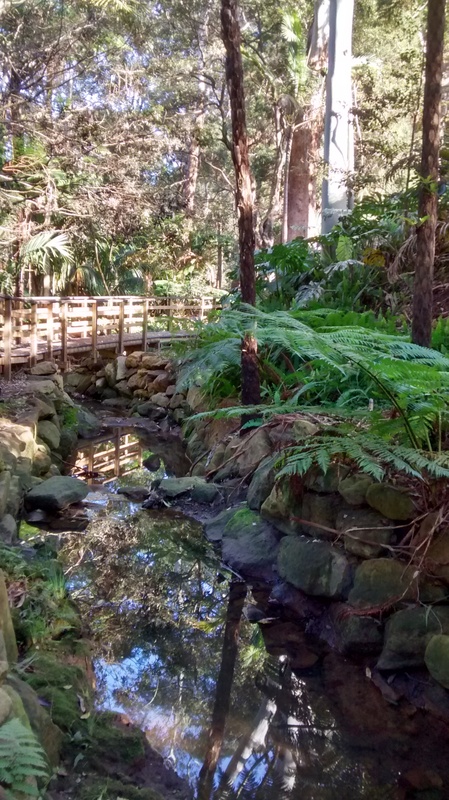 It was great because we started the day with a bushwalk along Stringbark creek to a park that we often go to. My older two and my niece loved the walk. They kept talking about how exciting it was to walk through the ‘forest’. I’m very lucky in that I have a little bit of bush so close to me. Many don’t and probably don’t get many opportunities to simply wander amongst so many trees. The other exciting part of the day of course, was all the digging that was involved. To my surprise all three loved planting. Well I have to say I was most surprised with my son as he doesn’t usually show that much interest at home. So a little about National Tree Day. This is a national event where local communities come together to plant trees and shrubs. It started in 1996 and to date over 22 million plants have been planted by over 3.5 million volunteers. What I loved about today was the fact that it really felt like a community event. 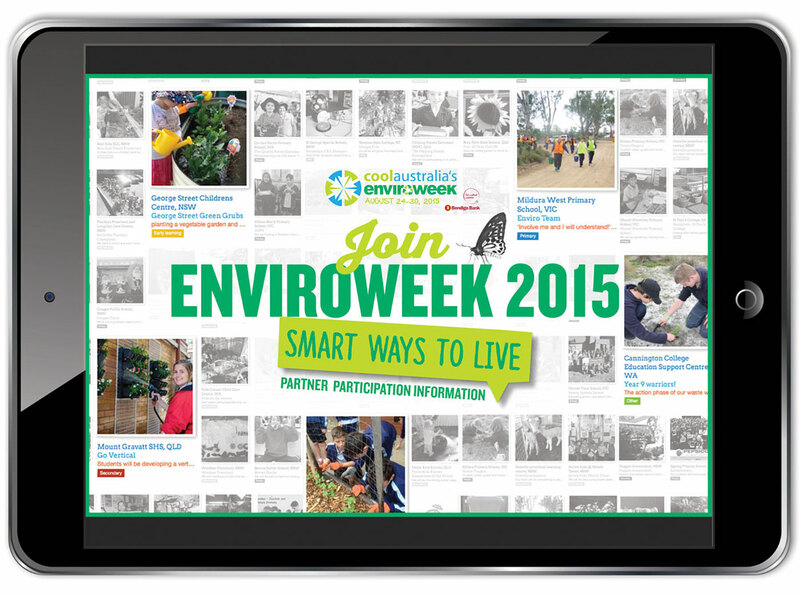 Council Bushcare workers and volunteers were on hand to give knowledge and encourage everyone’s participation. It really warmed my heart to meet these dedicated folk that work tirelessly to propagate all those trees and regenerate urban bushland areas which are usually so polluted and affected by urbanisation. Overall, the day was a success and I am a very happy eco-mummy. Basically, it’s a program to encourage the participation of young folk in the protection of our environment throughout a year. You can participate in a few ways: by yourself or a group of friends, through your class or your school. You make a pledge as to what you will do and the pledges are all positive things that can be done by anyone like gardening, having waste free lunches, spending quiet time in nature ….. So far I’ve volunteered my kids as a group, but will also ask my son to suggest it to his teacher as something that they can do as a class or indeed a school. I encourage you to check out the website and see how you or someone that you know of can get involved. ~ by em0navari on July 26, 2015. This entry was posted on July 26, 2015 at 12:52 pm and is filed under Gardening, Kids Stuff, Playtime.You can follow any responses to this entry through the RSS 2.0 feed.You can leave a response, or trackback from your own site.